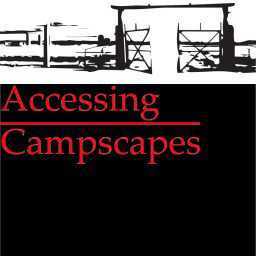 IC-ACCESS considers the genealogies, representations and interpretations of campscapes, as topical for Europe’s political and cultural histories of the last century. As objects of analysis, these sites of memory are both configurations of contemporary social and political events and expressions of the past. In this overlap, the afterlives of the sites and their future as memorials or spaces of commemoration are articulated today through the dynamics of narratives, materiality and personal biographies of witnesses or survivors. The constant rewriting of their historical underpinnings, proper to sites of memory under the constant guise of claims and appropriations, brings to light complex and often divisive and selective remembrance connotations of such spaces practiced today. In order to understand the complex memorial cultures attached to such sites, the team approaches (un)official historical interpretations which operate in relation to them and their connections to memorial paradigms and public usages of history, their particular archaeology, fluctuations in the display of memorials, framings of material traces and divergent negotiations of communities of experience. At the same time, the project takes on the transnational and historically entangled approach to campscapes as heritage so as to further research, preservation practices and presentation debates around such sites. The three year HERA funded project (2016-2019) is meant to open local, national and transnational reflections on the past to a more inclusive awareness of interdependencies, exchanges and circulation of historical interpretations and memorial practices in the 20th century, and to show how these operate in contemporary social and political readings of the past. The ambition is to transpose these insights into new accessible, engaging and far-reaching tools to cultivate a balanced and reflexive uptake of the history of such vulnerable and contested heritage sites.